Best known as the author of the Harry Potter fantasy series, the British novelist Joanne “Jo” Rowling, OBE, (J. K. Rowling)was born 31 July 1965.The Harry Potter books have gained worldwide attention, won multiple awards, sold more than 400 million copies to become the best-selling book series in history and been the basis for a popular series of films, in which Rowling had overall approval on the scripts as well as maintaining creative control by serving as a producer on the final instalment. Rowling conceived the idea for the series on a train trip from Manchester to London in 1990.
n 1995, Rowling finished her manuscript for Harry Potter and the Philosopher’s Stone on an old manual typewriter. Upon the enthusiastic response of Bryony Evens, a reader who had been asked to review the book’s first three chapters. Then In June 1997 Bloomsbury, a small Publishing house in London, published Philosopher’s Stone with an initial print run of 1,000 copies, 500 of which were distributed to libraries. In early 1998, an auction was held in the United States for the rights to publish the novel, and was won by Scholastic Inc for $1. Five months later, the book won its first award, a Nestlé Smarties Book Prize. In February, the novel won the prestigious British Book Award for Children’s Book of the Year, and later, the Children’s Book Award. In October 1998, Scholastic published Philosopher’s Stone in the US under the title of Harry Potter and the Sorcerer’s Stone: a change Rowling claims she now regrets and would have fought if she had been in a better position at the time. Its sequel, Harry Potter and the Chamber of Secrets, was published in July 1998 and again Rowling won the Smarties Prize. The fourth book, Harry Potter and the Goblet of Fire, was released simultaneously in the UK and the U.S. on 8 July 2000, and broke sales records in both countries, almost equalling the number Prisoner of Azkaban sold during its first year and Rowling was named author of the year in the 2000 British Book Awards. the fifth Harry Potter novel, Harry Potter and the Order of the Phoenix was released three years later and The sixth book, Harry Potter and the Half-Blood Prince, was released on 16 July 2005. It too broke all sales records, selling nine million copies in its first 24 hours of release, and In 2006, Half-Blood Prince received the Book of the Year prize at the British Book Awards. The seventh and final Harry Potter book is Harry Potter and the Deathly Hallows was released on 21 July 2007 and broke its predecessor’s record as the fastest-selling book of all time and sold 11 million copies in the first day of release in the United Kingdom and United States. the last four Harry Potter books have consecutively set records as the fastest-selling books in history.The series, totalling 4,195 pages, has been translated, in whole or in part, into 65 languages and have also gained recognition for sparking an interest in reading among the young at a time when children were thought to be abandoning books for computers and television, Time magazine also named her as a runner-up for its 2007 Person of the Year, noting the social, moral, and political inspiration she has given her fans. In October 2010, J. K. Rowling was named ‘Most Influential Woman in Britain’ by leading magazine editors. She has become a notable philanthropist, supporting such charities as Comic Relief, One Parent Families, Multiple Sclerosis Society of Great Britain, and Lumos (formerly the Children’s High Level Group). On 12 April 2012, Rowling announced that her new adult novel The Casual Vacancy would be published in the UK by Little, Brown and Company on 27 September 2012. Commercially speaking, their breakthrough came when they released the single “The One I Love” which was taken from the 1987 Album “Document”. The next single “Freaks” saw REM outgrow the university centred underground music scene which had so-far sustained them, and they hit the big time, and Their next release 1988′s “Green” was released by a major label and was seen by many as their true peak. Lyrically, the album saw the band dealing with a number of important issues – World leader Pretend is a deft criticism of the remote ruling classes, while Pop Song ’89 tackles claims the band had sold out by purporting to be, in Stipe’s words, “the prototype of, and hopefully the end of, a pop song”. The next album “Out of Time” proved to be an even bigger hit. Featuring the career-defining singles Losing My Religion, which some regard to be the touchstone of alternative rock and Shiny Happy People, featuring fellow Athenian Kate Pierson from the B52′s. With this album it seems that The band were aiming to make a massively successful, mainstream record without embarrassing, or compromising, themselves – They certainly succeeded. Michael Stipe’s inner demons also came to the fore In the next album, 1992′s Automatic For The People, which is A more sombre, reflective album that features string arrangements by Led Zeppelin’s John Paul Jones. This album was also to yeild some wonderful songs like “The Sidewinder Sleeps Tonight” and “Everybody Hurts”. The band’s next two albums Monster and New Adventures In Hi-Fi were largely recorded live – some tracks taken from soundchecks taken during the massive stadium tour, and featured some new classics, such as Let Me In, a tribute to the recently deceased Kurt Cobain. Unfortunately drummer Bill Berry suffered a brain aneurysm and quit the band in 1997, and things never quite returned to the giddy heights of “Out of Time” and Moments of brilliance, such as The Great Beyond or Imitation Of Life, became less frequently. Leading some band members to pursue side-projects, Stipe increasingly pusued his film work,while Peter Buck concentrated more on his country supergroup Tired Pony. 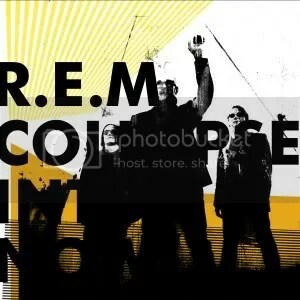 Despite this REM continued to be unbeatable live performers to the end and their final album, Collapse Into Now, was hailed, like many of its predecessors, as a return to form. Certainly, the band sounded rejuvenated and a lot more energetic than on some of the previous work which was released in the mid-2000s. 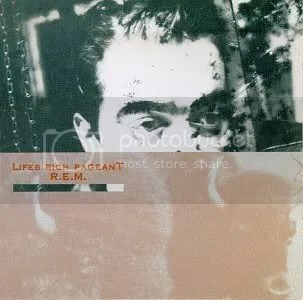 In addition They also recently re-released an earlier album ”Lifes Rich Pageant” which is also a great album. On November 14th 2011 , REM released a definitive greatest hits Double CD album, entitled: “R.E.M., PART LIES, PART HEART, PART TRUTH, PART GARBAGE, 1982 – 2011. ″ through Warner Bros, the album contained tracks from the band’s entire back catalogue, including tracks from both the IRS and Warner years plus three brand-new songs, as a final farewell. British lawyer and the founder of human rights group Amnesty International Peter Benenson was Born on this date 31st July 1921 in London. Benenson was tutored privately by W. H. Auden before going to Eton. At the age of sixteen he helped to establish a relief fund with other schoolboys for children orphaned by the Spanish Civil War. He took his mother’s maiden name of Benenson as a tribute to his grandfather, the Russian gold tycoon Grigori Benenson, following his grandfather’s death. He enrolled for study at Balliol College, Oxford but World War II interrupted his education. From 1941 to 1945, Benenson worked at Bletchley Park, the British codebreaking centre, in the “Testery”, a section tasked with breaking German teleprinter ciphers.It was at this time when he met his first wife, Margaret Anderson. After demobilisation in 1946, Benenson began practising as a barrister before joining the Labour Party and standing unsuccessfully for election. He was one of a group of British lawyers who founded JUSTICE in 1957, the UK-based human rights and law reform organisation. In 1958 he fell ill and moved to Italy in order to convalesce. In the same year he converted to the Roman Catholic Church. In 1961 Benenson was shocked and angered by a newspaper report of two Portuguese students from Coimbra sentenced to seven years in prison for raising their glasses in a toast to freedom during the autocratic regime of António de Oliveira Salazar – the Estado Novo. In 1961, Portugal ruled by the authoritarian Estado Novo regime, and anti-regime conspiracies were vigorously repressed by the Portuguese state police and deemed anti-Portuguese. He wrote to David Astor, editor of The Observer. On 28 May, Benenson’s article, entitled “The Forgotten Prisoners”, was published. The letter asked readers to write letters showing support for the students. To co-ordinate such letter-writing campaigns, Amnesty International was founded in London in July 1961 at a meeting of Benenson and six other men, which included a Tory, a Liberal and a Labour MP.The response was so overwhelming that within a year groups of letter-writers had formed in more than a dozen countries. Initially appointed general secretary of AI, Benenson stood down in 1964 owing to ill health. By 1966, the Amnesty International faced an internal crisis and Benenson alleged that the organization he founded was being infiltrated by British intelligence. The advisory position of president of the International Executive was then created for him. In 1966, he began to make allegations of improper conduct against other members of the executive. An inquiry was set up which reported at Elsinore in Denmark in 1967. The allegations were rejected and Benenson resigned from AI.